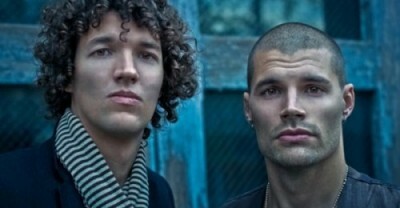 Joel and Luke Smallbone, are the members of the band “For King and Country”. The two brothers are siblings of their famous sister Rebecca St. James; talent runs far and wide in this musical family. Earlier in their careers they did numerous background vocals for Rebecca St. James. These two brothers are native to Sydney, Australia but moved to Nashville, Tennessee in 1991 to begin their musical endeavors. Their original bad name was “Joel and Luke” and was later changed to “Austoville” (You will note that this latter name chronicles their journey from Australia to Nashville.) Warner Music Group signed them to a contract in 2009 and they were on their way. Joel and Luke had significant success early in their careers. They released their single: ” “Busted Heart” (Hold Unto Me) in 2011 the song peaking at number 3 on the Christian Billboard chart. They followed up with their debut album “Crave” on 28 February 2012. The album did quite well debuting No.2 on the iTunes “Christian and Gospel” albums; chart rising to No.42 on the overall chart. The album peaked at No. 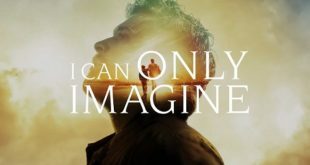 4 on the Billboard “Christian” album chart and remained on the chart for about 26 weeks. The album received rave reviews from critics. Joel recalls attending rock concerts sitting on his father’s shoulders. He used to plug his ears throughout the entire concert. He felt like music caught a hold of him and he followed its pull. Joel and Luke are both married; Joel has one child. The band has done pretty well in the awards department winning a “New Artist of the Year” Dove in 2013 and 2 Grammys for “Best Contemporary Christian Music Album (Run Wild. Live Free. Love Strong. )”, “Best Contemporary Christian Music Performance/Song (“Messengers” Lecrae featuring for KING& COUNTRY)” in 2015. The Lord surely has his hand on this band and certainly on this musical family. 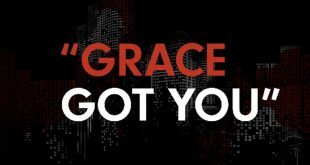 Who is your favorite Christian music artist?